Remember the Tory scare stories telling you that the Council was going to switch off street lights in Longbridge when it was simply not true? 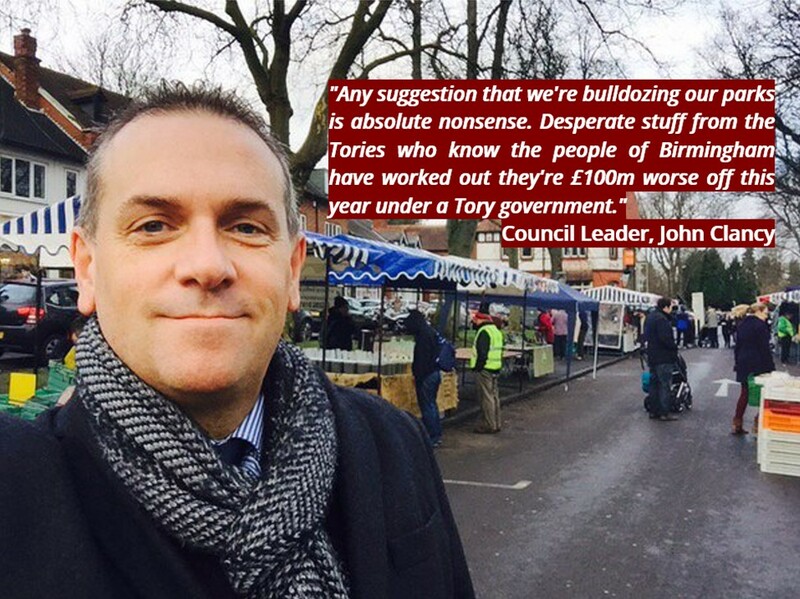 The Conservatives tried to take local people for fools in a cynical attempt to get votes last year. But people in Northfield constituency were not taken in by the #ToryPorkies and sent them packing on Election Day. The Conservatives don’t seem to have learned much, though, because this year we are seeing a new set of #Toryporkies being peddled around here. 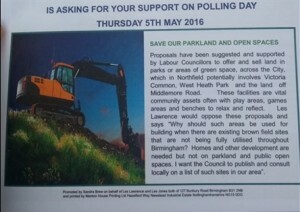 This time they are trying to have you believe that Birmingham’s Labour Council is going to start bulldozing and building on local parks. In Northfield ward itself, a Tory election leaflet has even named local parks they claim are under threat. So those are the facts. Does it mean we will see an apology from the Conservatives? I’m not holding my breath. We are still waiting for one from last year’s #Toryporkies. But local people were not taken in last year and I reckon they won’t be taken in this year either.